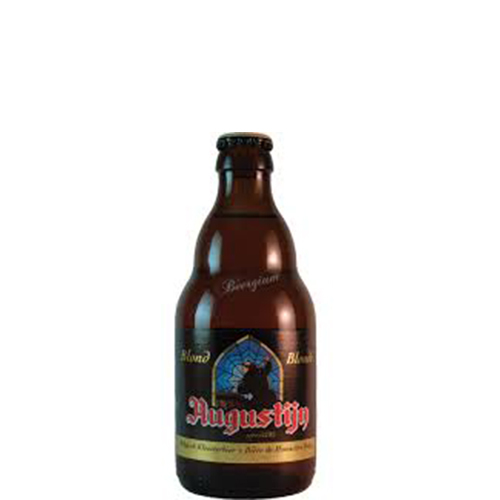 Brewed since 1978 by Van Steenberge for the Augustinian monastery at Stephen’s Church in Ghent using the original yeast culture. Sold outside of Belgium as St Stefanus, after the church, to differentiate it from beers that may be made by other Augustinian communities. The monastery receives money from each sale. Ingredients: Pale, Pilsener and Munich malts; brewing sugar; Saaz, German Hallertau; additional bittering hops. Partially filtered after primary fermentation, then cool matured for four weeks. Filtered and then reseeded with Brett and another yeast, and warm conditioned for two weeks. Bottled and stored for a minimum three months before distribution. Tags: amber, Augustijn Blond, Belgian Pale Ale, Belgium Craft Beer, Brouwerij Van Steenberge N.V. Brewed by: Brouwerij Van Steenberge N.V.